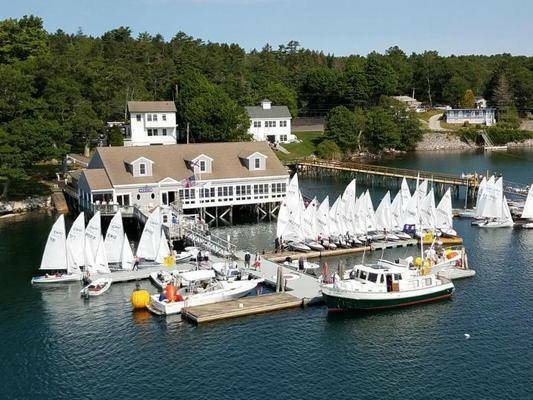 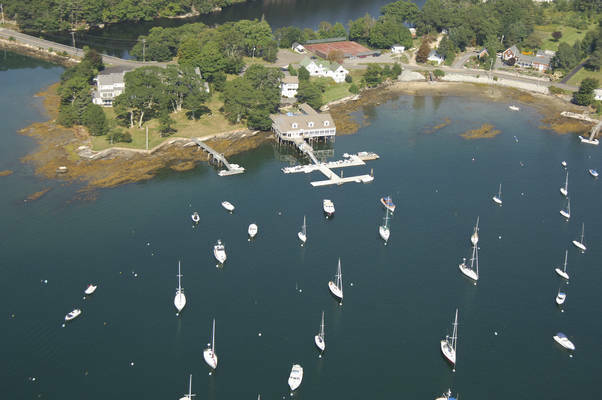 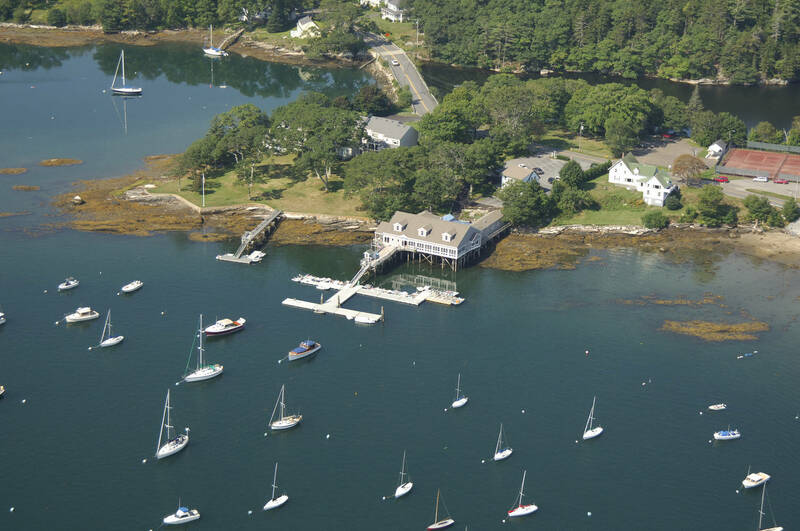 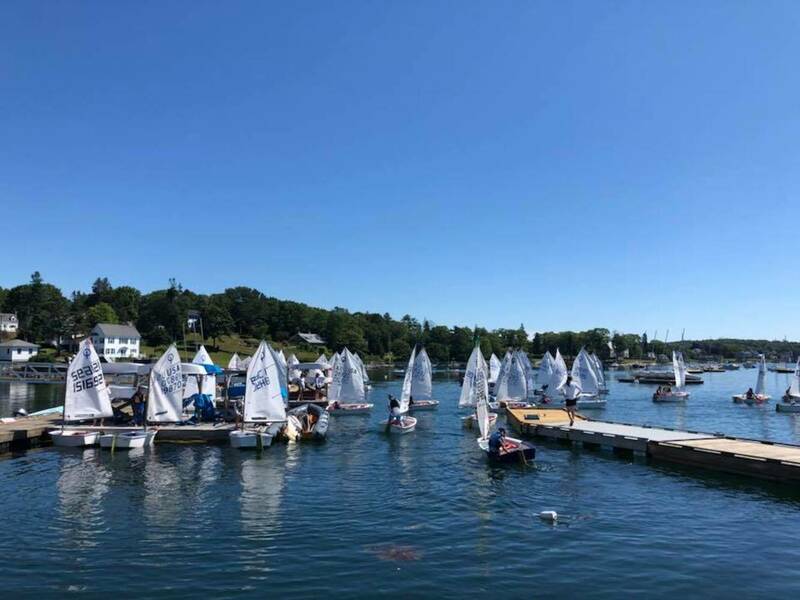 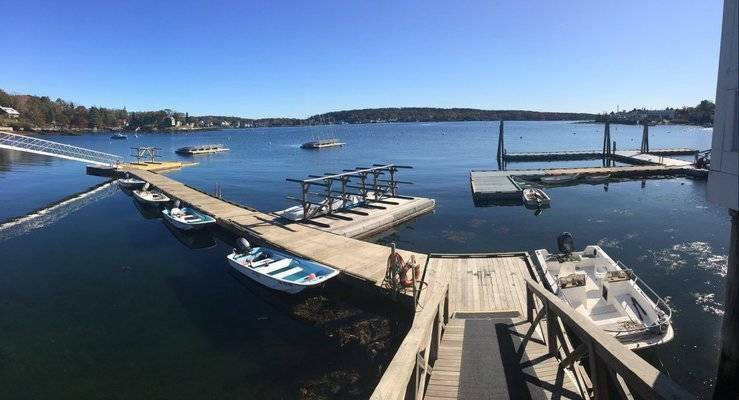 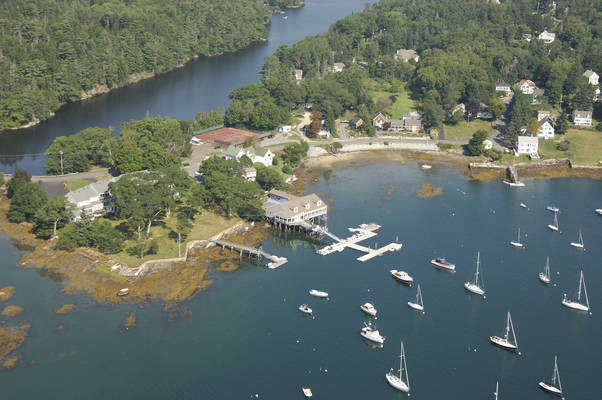 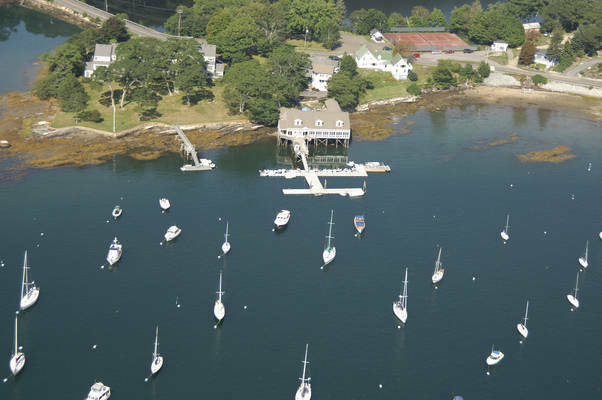 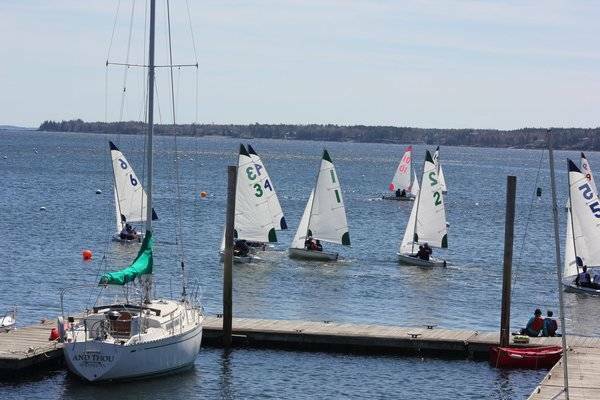 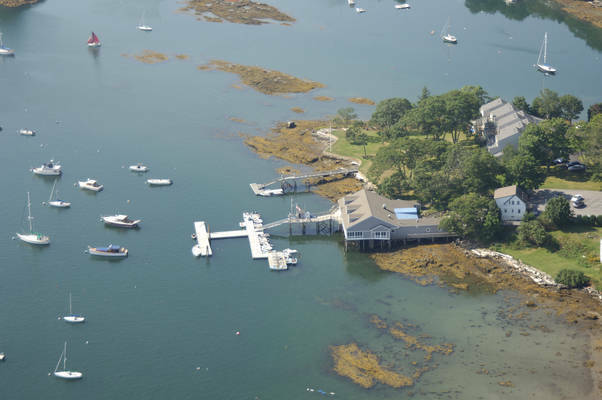 We have guest moorings available from 1,500 to 3,000 lbs. Mooring fees are only $40 per night for vessels up to 60 feet. 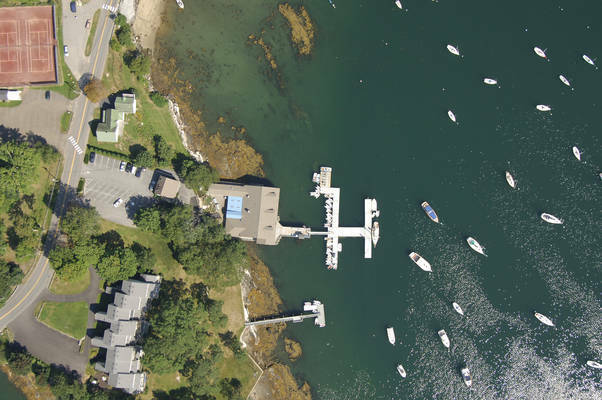 Water and electricity are available at the dock. 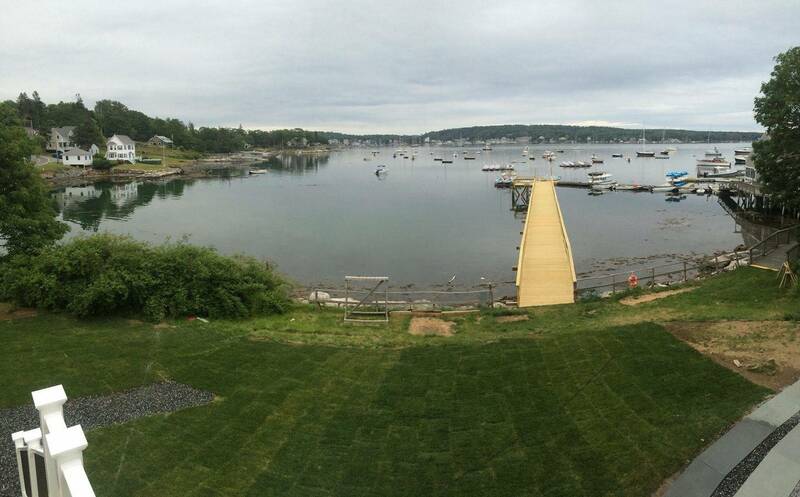 Dockside depth is 14 feet at low tide. We're a short taxi ride into town, or a 1.3-mile walk. 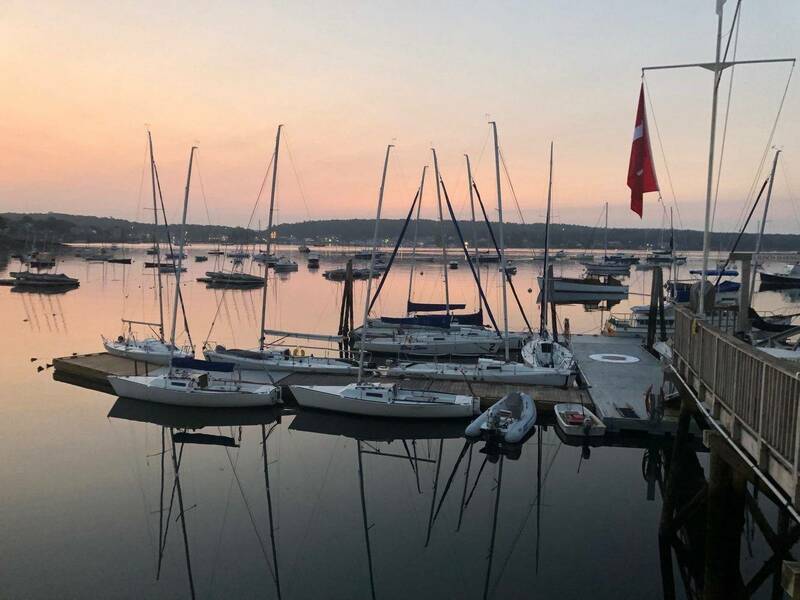 Our club stewards provide launch service from the Club's docks during the season between the hours of 8:00 AM and 8:00 PM, or sunset when that is later. 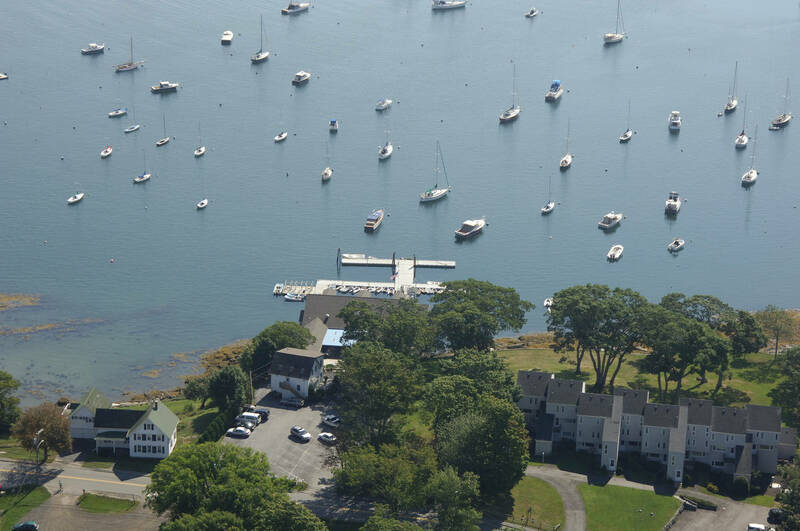 Visitors may use the launch service, wi-fi, showers, coin-operated laundry, and tennis courts, and are welcome to enjoy our bar and dining room.